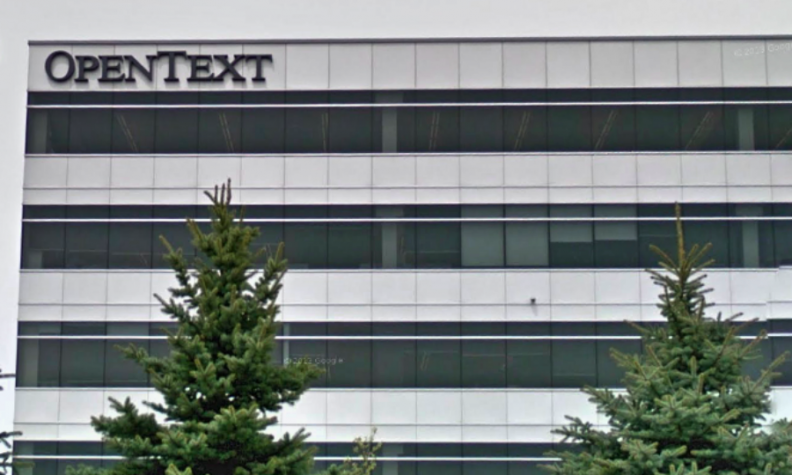 Canadian software company OpenText said it is acquiring Covisint Corp. -- an information technology supplier with deep automotive roots -- in a transaction valued at US $103 million. OpenText, based in Waterloo, Ont., said Covisint's Internet of Things platform will help OpenText expand in the automotive industry. Covisint shareholders will receive $2.45 per share in cash for each outstanding share of common stock held, representing a 23-per-cent premium to the prior closing price on June 2, according to a news release issued Monday. For the fiscal year ending March 31, Covisint reported total revenue of US $70.2 million, down eight per cent from US $76 million last year. Its subscription revenue was down four per cent and services revenue down 25 per cent from last year. Covisint, now based in suburban Detroit, was founded in 2000 as an online marketplace by Ford Motor Co., General Motors and then-DaimlerChrysler. It struggled to generate revenue and was sold to Compuware in 2004. Compuware spun off the company again through an initial public offering in 2013. "There is no better place for the Covisint Platform, the Covisint team members and our customers at this time in our evolution," Sam Inman, the company's CEO, said in a statement.